^ Eugene Albert Nida; Charles Russell Taber. The Theory and Practice of Translation. BRILL. 1 January 2003: 33–. ISBN 90-04-13281-3. ^ 也谈译名的大陆和海外腔. Archives.cnd.org. 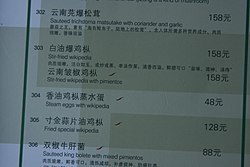 [2014-04-17] （中文）. ^ Christopher Kasparek, "Prus' Pharaoh and Curtin'S Translation," The Polish Review, vol. XXXI, nos. 2–3(1986), p. 135. ^ Cited by Kasparek, "The Translator's Endless Toil", p. 87, from Ignacy Krasicki, "O tłumaczeniu ksiąg" ("On Translating Books"), in Dzieła wierszem i prozą (Works in Verse and Prose), 1803, reprinted in Edward Balcerzan, ed., Pisarze polscy o sztuce przekładu, 1440–1974: Antologia (Polish Writers on the Art of Translation, 1440–1974: an Anthology), p. 86. ^ Kasparek, "The Translator's Endless Toil", p. 85. ^ Zdzisław Najder, Joseph Conrad: A Life, 2007, p. 524.